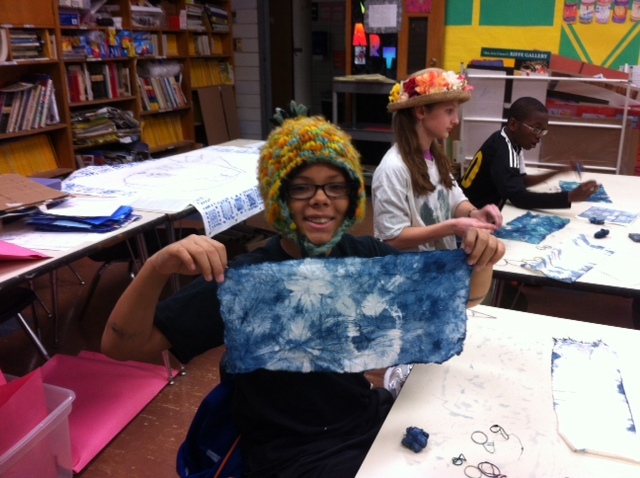 Check out this beautiful example of an indigo dyed textile brought in to share by one of our sixth graders! 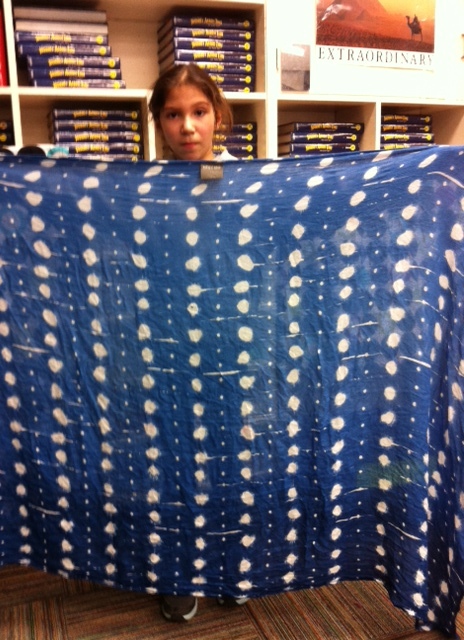 This large cloth looks very similar to some of the Japanese Shibori examples we looked before dyeing our own fabric. 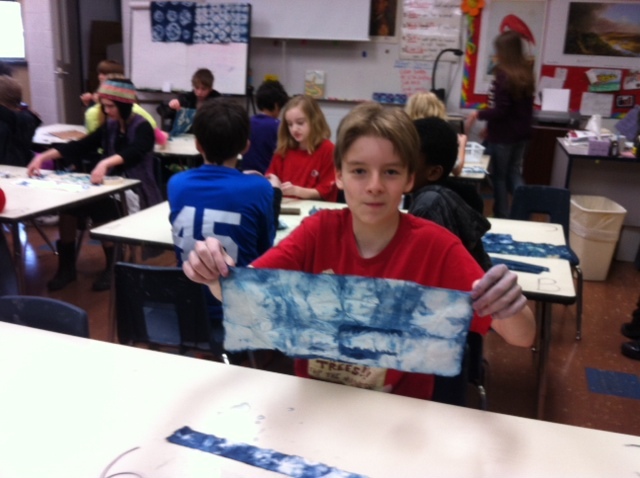 The final session of indigo dyeing resulted in some lovely samples. 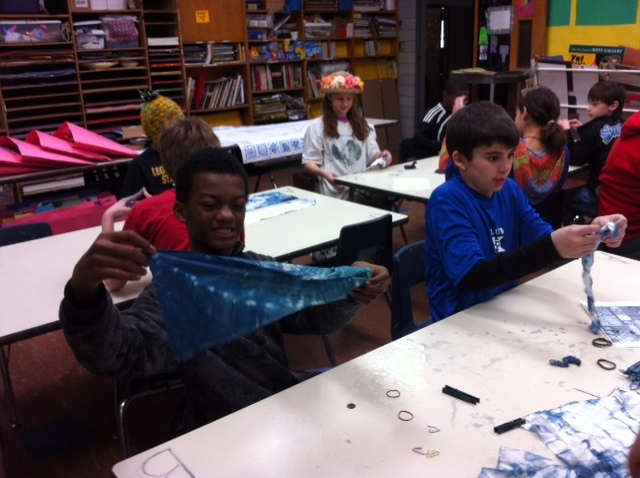 These pieces of fabric will be cut into strips and added to the border of the hero/peacemaker artwork. Are you getting excited to see the assembled hero/peacemaker artwork? Check out the next couple of posts to see students helping out as designers and adding the finishing touches!